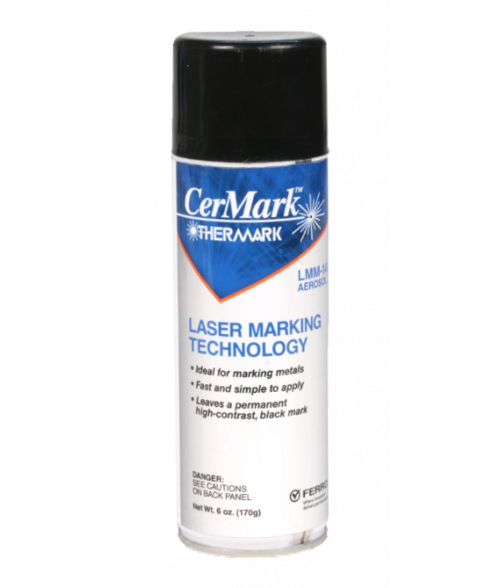 CerMark Thermark Metal Marking Spray Can creates black engraving on uncoated metals. It is premixed at the right consistency, so no diluting is necessary. Thermark dries as a powder and therefore is not intended for pre-prep. Applied like a regular can of spray paint, one can will cover approximately 900+ square inches. Air and international shipments will include a hazardous material surcharge.